Origins - Site de lelieuutile ! As children we used to be gardeners, carpenters, masons, engineers, farmers and explorers! As teenagers we used to travel, study and work odd jobs to gain independence. As young adults we were engaged in professions where we had to raise awareness to reduce environmental impacts. As Young parents we've built our home in the image of our values: a low carbon footprint house with a living roof in Nantes ! And today we are creating a school for young explorers, creators of the XXI century ! A non-profit association under the French law of 1901, eager to share skills, experiences and energies at the service of 3 to 12-year-old children. Our goal is to create a place to support education based on kindness, trust, exploration and creativity. The ideal location would be Ile de Nantes, Rezé les isles, Pirmil or Vertou and Saint-sébastien sur Loire. 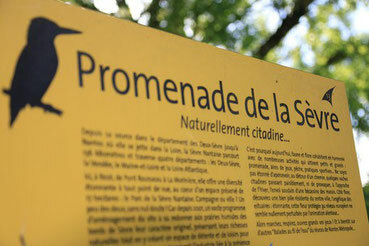 The Loire and the Sèvre rivers offer a wonderfull opportunity to explore nature and the change of seasons. The excellent public transport network aned proximity to the city center of Nantes are major assets. You will also find a games library with a set of cooperative games available to rent and a forum space to develop joyful parenting! The children will learn English naturally through daily interactions with native English-speaking teachers and English speaking families. We also wish to collaborate with multilingual associations to welcome children and families who speak neither French nor English. What about a colibri school? Ils l'ont fait! They did it!